Karina's Kreations: Oh Hello Invite! Didn't my invite turn out great? I stamped the Chevron image from Oh Hello #130730 on Whisper White card stock. The flower image was colored with Primrose Petals & Lucky Limeade Stampin' Write markers and the greeting is stamped with Early Espresso ink. The image was cut out with the Oval Collection Framelit Dies #129381. 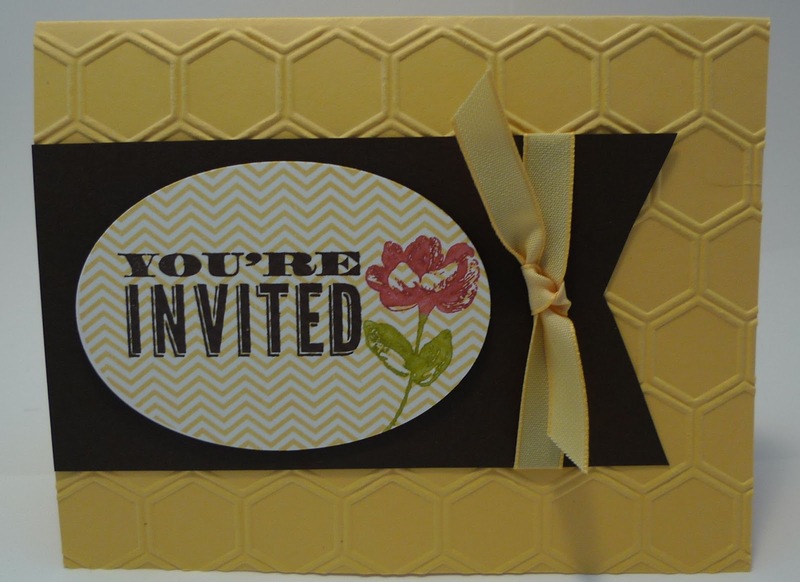 Honeycomb Textured Impressions Embossing Folder #129378 and So Saffron 3/8" Taffeta Ribbon were also used on this card.